Backing up any type of heavy duty or box truck can be challenging, especially in tight spaces or crowded parking lots. A box truck is a significantly larger motor vehicle than any car, meaning it takes up more space than a car on the road, in a parking lot, or anywhere else both vehicles travel. If you’re like a lot of large truck owners out there, you’re probably interested in a backup system for a variety of reverse situations. After all, in addition to taking up more space than most regular-sized vehicles, you’re probably operating a vehicle that’s more costly to repair than most vehicles on the road when it comes to body damage. Unlike the other systems, we sell this has a volume Control. So if you want it a little louder or quieter that's possible to do. This system comes in either a 4 or 8 sensor version depending on whether you want protection on one or both sides of your vehicle. Please note, you can upgrade this system to include a multi-color Dual meter display by looking at our “customize and upgrade” section at the top right of the page. 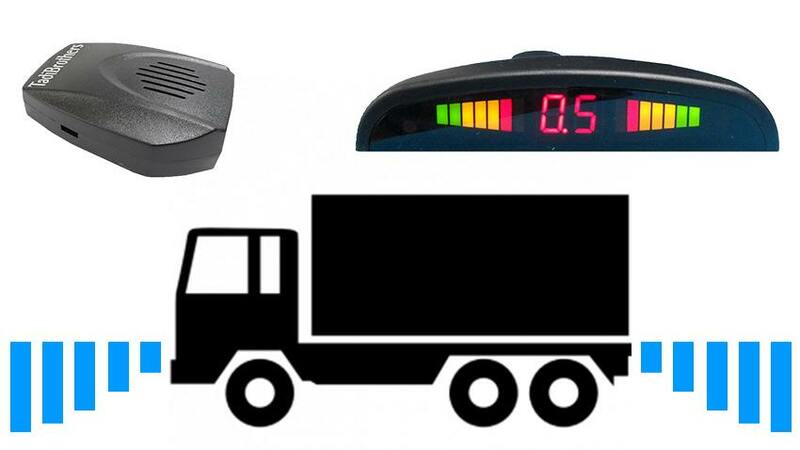 All our Multi color LED displays to include the beeping features that you’ve gotten used to, but with enhanced visual feedback showing you where the object is in relation to your vehicle. All our displays show you a numerical reference in feet in addition to the DUAL multi-color lights that adjust by how close you are to an object. 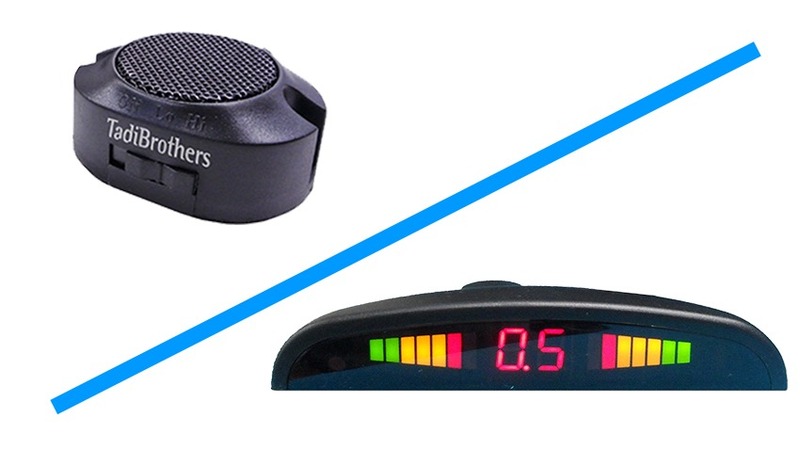 Choose from a variety of LED color displays according to your needs and budget and don’t hesitate to read our guide to get more detailed information about which of our speakers or displays is perfect for you. You can also expand this system to the front of your car. Pick the 8 sensors option and then you will have your entire car protected by sensors.